RC planes are basically remote controlled airplanes that are designed with your entertainment in mind. These little planes will deliver a myriad of fun. Whether you are flying alone or with someone else, RC planes are ideal for those seeking to have a relaxed time out in the open fields. There are a number of models available and choosing just one could become quite an overwhelming task. Below is a compilation of some of the top RC planes currently available. They were selected based on their features, affordability, durability and overall performance. 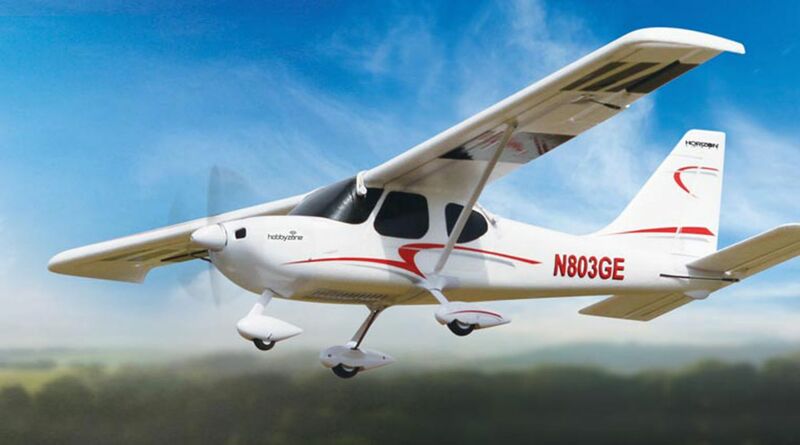 This remarkable aircraft is designed for beginner, intermediate and expert hobbyists. It is compact and easy to carry around, yet big enough to deliver countless hours of fun. Additionally, there are 3 modes on its radio: expert, intermediate and beginner. It is recommended for the plane to be launched under beginner mode so that however it takes off, it will be fine and no damage will occur. Once it is airborne at roughly 50 feet, the level can be changed so you can perform dives, rolls and other challenges. • Extra batteries are required to extend the experience as there is only about 8 minutes of flight time. • There is no instruction in the manual on pairing the craft with its remote. • Proportional 4-channel control with working rudder, throttle, aileron and elevation. The Hobbyzone Sport Cub S RTF RC plane is durable and will last a long time when taken care of properly. It is also remarkable for first time pilots. This craft appeals to every level of pilot all across the board. It includes a number of features that make for memorable flying. It is equipped with SAFE technology that delivers 4 modes that enable new pilots to gain extensive knowledge. The Delta Ray RTF has a panic mode button that can be used whenever you lose control of the plane and it will bring it back down to a stable flight level. The plane is strong and durable; however, if it gets damaged, it can be easily fixed by gluing it back together. All things considered, the HobbyZone Delta Ray RTF will deliver a gentle and enjoyable flying experience. This is first RC paper airplane the world; it has a crash-resistant design and a 580 foot-range. The PowerUp 3.0 enables you to become a part of the creation process as the paper planes will have to be artfully folded. All that is required is the standard copier paper, which will be folded into a paper plane. The Smart Module will then be attached to the paper airplane and you’ll be ready to fly. Piloting is controlled by tilting the smartphone. The PowerUp 3.0 is an ideal choice for anyone looking to buy a cheap RC plane. The PowerUp 3.0 is ideal for younger children to learn about aerodynamics. They will be able to learn from trial and errors until the physics is right. This is a tremendous option for beginners and advanced pilots alike. It is remarkably stable and easy to use. Its high-mounted dihedral wings allow the plane to always fly level. If the controls are released mid turn and the craft is sufficiently high, it will level itself out naturally. The Super Cub S has an extremely low stall point, which is an indication that you will get to fly your plane at low throttle on windy days and watch as it glides forward lazily. This RC plane is quite enjoyable and easy to modify, takeoff fly and land. This RC plane has tons of features to facilitate an easy and enjoyable flying experience every time. Rather than remaining cooped up playing games on an electronic device or watching television inside, get a Hobbyzone Super Cub S and relish the feeling of being in the open field expertly maneuvering your aircraft in the sunny skies in soft winds. This is a versatile, durable, affordable and among the easiest-to-fly RC planes available. Similar to some of the best amateur drones, the HBZ Carbon Cub S+ comes with many high-tech features that make it friendlier for beginners. These include Virtual Fence, which prevents the airplane from leaving an established area; Holding Pattern, which stabilize the plane in the air and AutoLand, which is a one-touch system that controls the takeoff and landing. If accessories such as optional flaps and oversized tundra tires are purchased, this RC plane could travel in virtually any weather conditions. These airplane trainers are stable and will assist you in building your flying confidence. ‘High wing’ is an indication that the wings sit at the top of the fuselage. The weight of the fuselage under the wings stabilizes the flight. When viewed from the front, the slight V shape of the main wing is the dihedral. The increasing angle of the dihedral increases the stability of the plane to a certain extent. At the beginning, choosing 3-channel trainer planes is better as beginners will find it harder to control 4-channel RC planes. The 3-channel RC plane typically has a thrust, elevator and rudder. The fourth channel can be added once flying 3-channel planes becomes comfortable. Flying electric RC planes is much easier than flying nitro or gasser planes. The Electric planes need little maintenance and are inexpensive in comparison to IC engine planes. This crash-resistant foam planes are very easy to repair and durable. Different varieties of foams are currently available on the market, including Depron, Expanded Polypropylene and Styrofoam. It will assist you in building confidence in flying without money being lost. Push model planes are better as the engine and electronics will be safe after crashing. Slow flyers are more comfortable because you will get adequate response time whenever something goes wrong. This also assists you in making muscle memory; to do this, you can select motor configuration and slow flying props. Picking the size of the airplane should depend on the available space you have. Big planes need a large flying space and small planes are extremely sensitive to wind. Prices vary widely depending on features of the planes. You can search for models within the budget you are working with and your personal preference. The elevator, rudder and ailerons are the control surfaces on the plane. They all work together to create air resistance so that the plane will move in a specific direction. ‘Checking’ the surfaces specifically mean checking the throws of the control surfaces. In essence, throw is used in reference to the angle at which the control surfaces move. The bigger or higher the throw, the more drastic the craft will respond. The manufacturer of the RC plane you choose will always recommend the correct throw. It is important to check the instruction manual for the correct throw settings. The High Five Method can be used to make sure that the controls on the transmitter are enabling the control surfaces to move in the correct direction. Directly hold the transmitter over the middle of the plane. When you provide your elevator, aileron or rudder with input, imagine that the surface is rising up to give your thumb a high five. A source of power is needed to fuel the plane so having a dead battery makes no sense. Do a triple check to ensure your batteries are charged before attempting to fly the plane. Battery checkers can be found practically anywhere, particularly online, and they are totally worth the low cost. The transmitter range is basically the distance between your plane and yourself before the signal can’t reach it anymore. There are many modern transmitters that are equipped with a ‘range check’ feature for this particular purpose. Find the setting in your manual. Take off and land into the wind. Flying in downwind and cross winds will rapidly ruin your experience, particularly for those who are learning. Troy Built Models is the leading supplier of RC Planes, Cars and Trucks online. Troy Built Models has many years of experience in the RC industry and offers helpful tutorials for individuals looking to buy. Copyright © 2019 Troy Built Models.